Monday's Spokane City Council meeting was supposed to be short and simple: Members of the city's legislative body would hear from a few regulars during public comment, pass a few mundane ordinances and resolutions and everyone would go home early. But instead, Monday's meeting turned into an outpouring of outrage after reports of an ATTACK outside Boot's Bakery and Lounge in downtown Spokane. Jacina Carla Scamahorn, a homeless transgender woman, says she was sitting outside the bakery when two men emerged from a nearby bar and berated her before physically assaulting her. When police showed up, she says, they made disparaging remarks about her being transgender. The suspects fled on foot and Scamahorn was transported to a hospital, according to police. After hearing about the assault, Blaine Stum, legislative assistant to Councilman Jon Snyder and chair of the city's Human Rights Commission, started rallying people for Monday's meeting. Some who spoke during the public comment period raised concerns about the reported behavior of police toward Scamahorn. Others raised concerns that similar assaults aren't reported. Riffing off the "12th Man" concept — that a football team's fans are its 12th member — a new movement has sprung up in Spokane calling itself the "8TH MAN." According to its Facebook page, which had 712 likes as of press time, the group was sparked by Spokesman-Review columnist Doug Clark, who wrote about the idea after attending a heated city council meeting. The Facebook page identifies the 8th Man as the taxpayer of Spokane and "NOT City Council's biggest fan." Much of its content is largely in tune with the anti-tax Tea Party movement and derides progressive Council President Ben Stuckart. At Monday's city council meeting, a few people were spotted wearing 8th Man T-shirts. This summer's Julyamsh Powwow — the largest outdoor powwow in the Northwest — has been canceled. The reason: a dispute over gambling machines between the Coeur d'Alene Tribe and Post Falls' GREYHOUND PARK AND EVENT CENTER, which was to host the powwow. The cancellation represents more fallout over the slot/horse-race hybrid machines in Idaho. Intended to help bolster the dying horse racing industry, the machines ostensibly allow bettors to wager on historical horse races. Legislators and Idaho's tribes didn't raise much skepticism when they were approved in 2013. 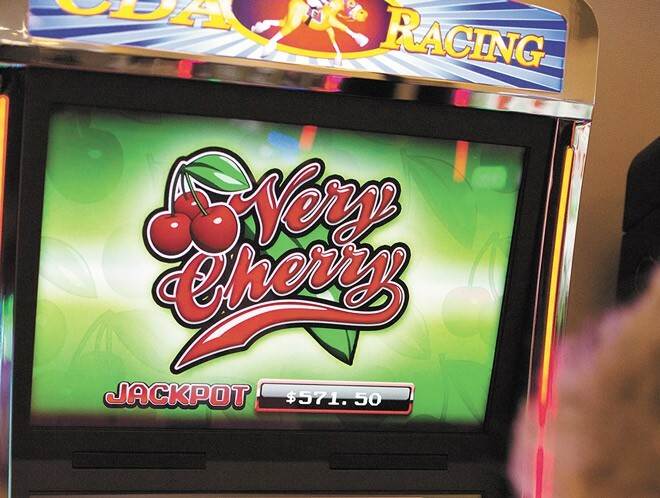 But after the machines began showing up at tracks — heavy on slot-style spinning cherries and animated treasure chests and light on horse racing — the Coeur d'Alene Tribe felt duped and started looking to host their powwow elsewhere. "We haven't found anything yet," says Coeur d'Alene Tribe spokeswoman Heather Keen. "Without having a location, we made the difficult decision to cancel it."